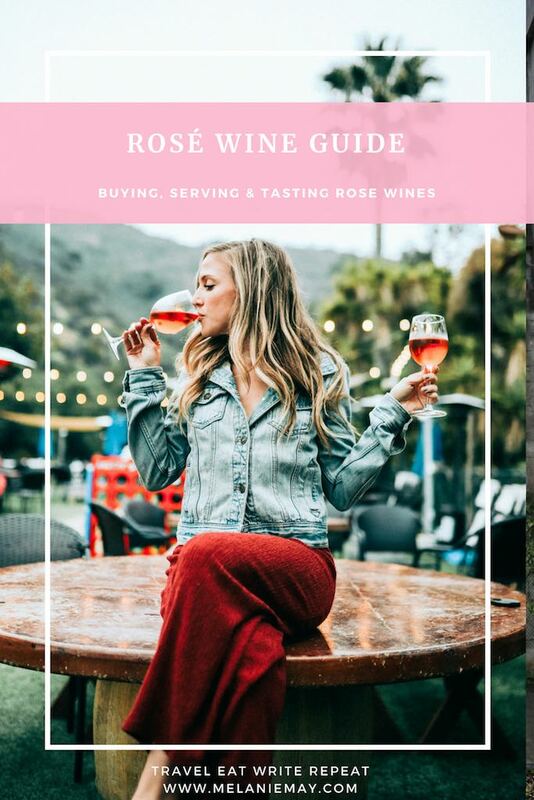 Rosé wine guide – your guide to understanding the basics of rosé wine. Last month I was invited to a rosé wine and food matching dinner (click here to read my rosé wine food pairing guide) with Chateau la Coste. The dinner took place in the fabulous Roberta’s restaurant on Temple Bar in Dublin. 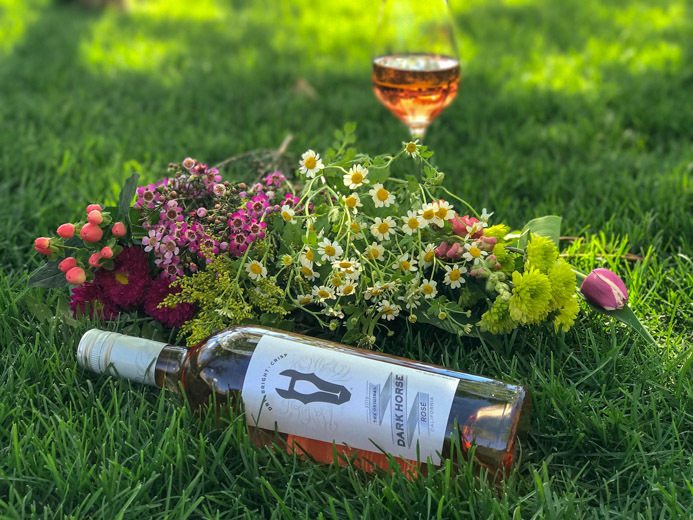 At the event, held in Roberta’s Dublin, we drank three organic wines – two organic rosé wines and one organic sparkling rosé wine – and they were all very different from each other. What was more surprising, was how different the rosé wines tasted to what I thought rosé wines tasted like. Benjamin Jacquet and Alexandre le Chat of Chateau la Coste explained how rosé wine is made and how rosé wine should be served and what rosé wine typically tastes like. Now, I am going to try to distil all that information into an essential rosé wine guide. I am by no means an authority on wine, but the information below should give you a quick over view of rosé wine and how to serve it. I have also included a list of decent rosé wines that you can buy in the larger supermarkets here in Ireland and possibly the UK too. 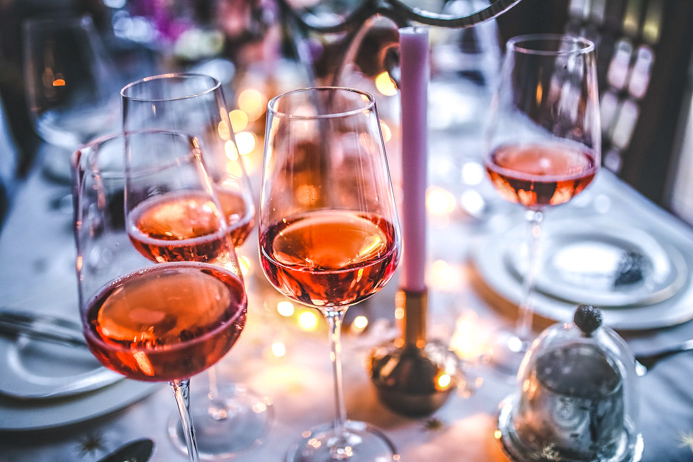 For a more in-depth rosé wine guide and food pairing, along with a larger list of very good rosé wines for a variety of budgets, check out my rosé wine food pairing blog. Rosé wine guide – understanding the basics of rosé wine. Rosé wine is made with both white and red grape varieties. For example, White Zinfandel is produced with the same grapes as Red Zinfandel, but the two wines are remarkably different. Rosé wine happens when the skins of red grapes are in contact with the wine for only a short time, perhaps just a few hours. The longer the grape skins sit in the wine, the darker the colour of the finished rosé. What does rosé wine taste like? The grape variety that the rosé wine is made with will vary the flavour, but generally the main flavours of rosé wine are flowers like peony and rose, red fruit, citrus fruits and melon. There is a fresh finish to rosé wine reminiscent of celery or rhubarb. Grenache rosé wine from Provence in France tastes of honeydew melon, lemon and celery. What flavours are found in rosé wine? What grapes are used to make rosé wine? It’s typical to see a blend of two to three different grape varieties listed on a bottle of rosé wine. When should I drink rosé wine? The perfect time to drink rosé wine is when it’s fresh and young. Rosé wines are not built with longevity in mind. They have an average predicted drinking window of just three years. Drink most rosé wines within a year of bottling. How long does rosé wine last once open? With a cork in the bottle, most rosé wines will last five to seven days in the fridge. A day after the rosé wine has been open, the taste will change subtly as the wine oxidizes. What temperature should I serve rosé wine? As a rule of thumb, take rosé wines out of the fridge 20 minutes before serving. Most wine experts suggest serving rosé wine at a temperature between 7 to 13 degrees Celsius (45 to 55 degrees Fahrenheit). My personal preference is to serve rosé wine between 8 and 10ºC. What wine glass do I use to serve rosé wine? Since doing a wine glass knowledge event with Riedel, I’ve become obsessed with wine glasses and the perfect glass for serving different types of wine. There’s even specific glass for grape varieties! For rosé wines, look for a rosé wine glass with a tulip-shaped bowl and sides that taper towards the top. This focuses the wine’s aromas and direct the flow of wine the tip of the tongue. This will emphasise the wine’s fresh fruitiness while tempering any high acidity. What is the best rosé wine? Whispering Angel has, over the last 5 years, become one of the most in-demand wines in the world and the estate sells out globally every year. Diving into Hampton Water is making a splash as it rates as one of the top five rosé wines in the world having scored a 90-point rating on Wine Spectator. What’s even more surprising is that it is a wine from rock icon Jon Bon Jovi and his son Jesse Bongiovi made in partnership with France’s Gérard Bertrand. The best rosé wine that I drank at the Chateau la Coste event was its Grand Vin Rosé, 2014. It has hints of red fruits and is well-balanced and nice and fresh too. I personally enjoy Andre Vatan, Sancerre, Maulin Bèle, Loire, France, 2016. 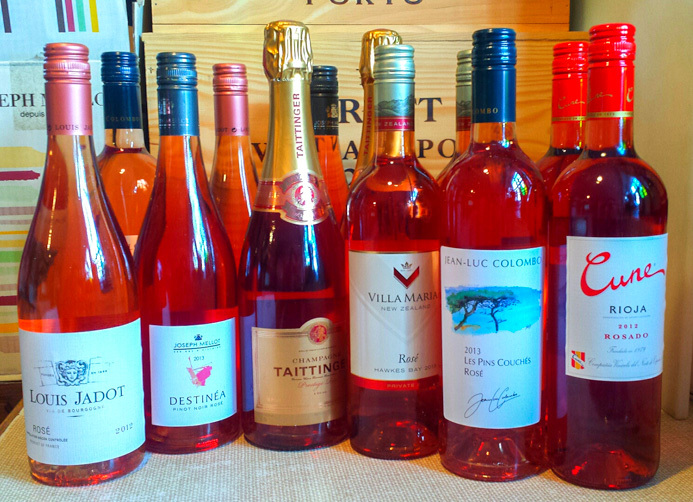 So, what did you think of my rosé wine guide? Did you find it useful or helpful at all? Did I leave anything out? If so, let me know in the comments below. I love hearing from you. If you liked this rosé wine guide, you may also like my Spanish Food and Wine Pairing Guide. You might also enjoy my rosé wine food pairing guide. If you liked this rosé wine guide, please share with others. Great post. It is only 9AM and I already craving a glass of rose! Ah sure look it, it’s Happy Hour somewhere! Please contact me to say hi or for collaborations.